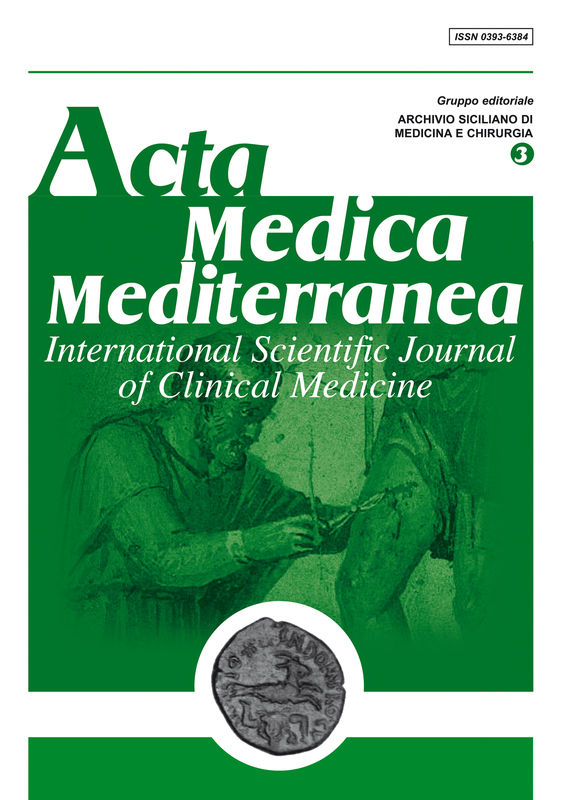 Acta Medica Mediterranea is an indipendent, international, English-language, peer-reviewed journal, online and open-access, designed for internists and phisicians. The journal publishes a variety of manuscript types, including review articles, original research, case reports and letters to the editor. The owner of the Journal "Actamedicamediterranea" mister Carmelo Pennino detected suspected misconduct in manuscript publishing. The company Carbone Editore, owner of the Journal "Acta Medica Mediterranea" already retracted a number of 17 items and announced an update within the Authors' guidelines policy officially. The owner of the Journal "Actamedicamediterranea" mister Carmelo Pennino detected suspected misconduct in manuscript publishing. The company Carbone Editore, owner of the Journal "Acta Medica Mediterranea" already opened an internal investigation to detect any potential misconduct in the self-citations practice. All section Editors have been already invited to provide clarifications. More details will be announced soon about the planned actions that the company will put in place.